A collection of woodblocks carved with Buddhist Sutras at the Vinh Nghiem Pagoda within the northern province of Bac Giang has been officially recognized by UNESCO as a world heritage. The popularity was announced at UNESCO’s fifth plenary in Bangkok. The valuable woodblocks were recognized for their precision, uniqueness and cultural importance. The collection’s 3,000 carved woodblocks, consists of two Buddhist Sutras, give a large vary of information on development and beliefs of Truc Lam Zen Buddhism, founded by King Tran Nhan Tong within the eleventh century. Pham Cao Phong, head of the Vietnamese delegation to the UNESCO meeting, said that the gathering had received unanimous support. 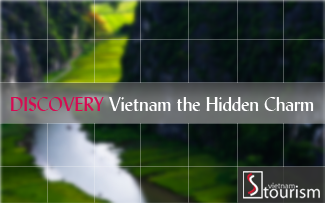 To date, Vietnam has had 3 heritages listed as world heritages below the UNESCO Global Memory of the World Program. 2 remains are the doctor laureate steles in Quoc Tu Giam – Hanoi’s Temple of Literature - and woodblocks of the Nguyen Dynasty.